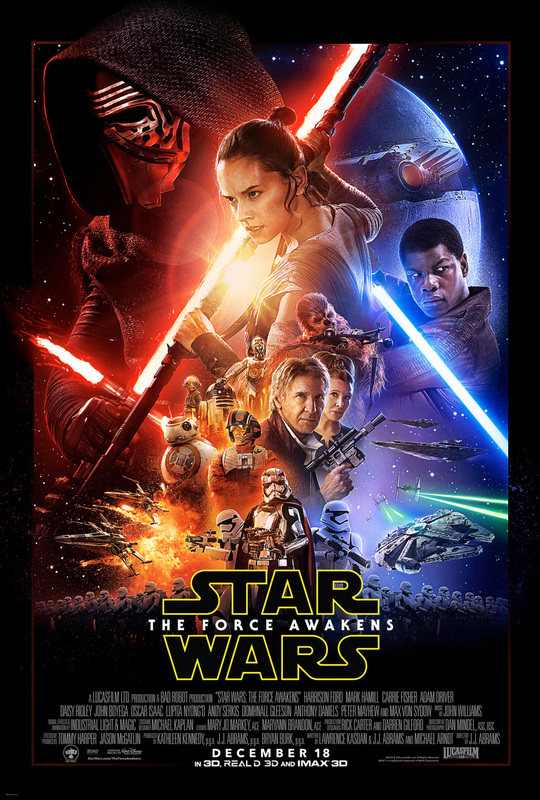 Fair Warning: The below might spoil episode VII if you haven’t watched it yet. It’s no secret that I’m a giant nerd and love Star Wars. It also shouldn’t be surprising that I’ve naturally been thinking about what Disney will do with Episode VIII. For me the giant question needing answering is ”who is Rey?” The end of episode VII leads me to believe that she is Luke’s daughter. There seems to be recognition there. Rey has some understanding of the island (as if she’s been there before). And, since Rey is emerging as the dominant hero, she kind of has to be a Skywalker since Star Wars is primarily the story of the Skywalker family. But what if she was a different Skywalker? What if she was a re-born Anakin? Emperor Palpatine (the big bad dude of the first 6 movies) was trained by a Sith Lord named Darth Plagueis. Palpatine at one point states that Plagueis was so wise in the ways of the dark side of the force that he had power over life and death. The ambitious Palpatine eventually though kills his master becoming the master himself. What if he used his knowledge of the force to save himself, going into hiding and hatching a plan to take control? His first go was through Anakin. Anakin had no father that his mom knew about; he seemed to be a virgin birth. It’s reasonable to think that Plagueis could have some how force created Anakin to be incredibly force sensitive in order to use him. Unfortunately though Anakin turned out to be too emotional and uncontrollable so, as my theory would go, Plagueis would have waited for another opportunity. Rey could be that opportunity. In preparation he comes out of hiding and assumes the moniker Supreme Leader Snoke and takes an emotionally distressed apprentice (Kylo Ren). He then does his force thing to get Rey and has her sent to a sketchy trader on a sketchy planet to grow up. Her life so far mirrors Anakin’s life in this. She also doesn’t seem to know much about her patronage; she’s just waiting for them to show up on this desert planet. Anakin was tied tightly to a sketchy trader on a backwoods planet. And she’s also incredibly powerful in the force and is able to defeat a trained dark side user with no training herself. If her display in EpVII is any indicator, she might be more powerful than Anakin was. There was also an addition in the Ep VII book that has a voice, presumed to be Supreme Leader Snoke, coaxing her to the dark side during her battle with Kylo Ren. She seems to be a bit more steady than Anakin was (at least at this point in the trilogy; who knows what EpVIII and IX will bring) and as previously stated potentially more powerful. This theory would likely make the next two episodes about her overcoming Anakins shortcomings that led to Vader and then taking out the major dark side of the force characters. Even though a longshot, it’s certainly something to consider. Regardless I’m looking forward to what Episode VIII will bring. Thoughts or theories of your own? Feel free to leave them in the comments!